Every year at the Grand Tasting of the Boston Wine Expo, I make time to stop by the LGL Imports tables, to check out their diverse portfolio of Portuguese wines. And every year, I find delicious wines, which are often excellent values too. I always recommend that my friends and readers stop by their tables, to discover the wonders of Portuguese wine. Last year, two wines from LGL Imports made my 2016 Top Ten Wines Under $15. As I've said before: "I love the fact that Portugal possesses an abundance of intriguing indigenous grapes, which can provide a unique taste to their wines. You can find tasty Portuguese wines for under $10 which are better than similarly priced wines from most any other wine region. Portugal is rich in vinous history, and their wines pair very well with an abundance of foods. If you're not drinking Portuguese wines, you need to rush out and sample them." Please also check out All About Portuguese Wines to find links to my myriad of previous articles about the wines of Portugal, including Port. Caves Messias, located in the Bairrada region of Portugal, was founded in 1926 and produces a variety of wines from Dão, Bairrada, Douro, Vinho Verde, Beiras, Terras do Sado and Vinho do Porto. Their Dry White Port is made from a blend of Malvasia Fina, Rabigato, and Códega grapes, and presents fascinating flavors. Lightly sweet, with pleasant honey and dried fruit notes, there are some intriguing spice notes, all which create a nice complexity. With nice acidity and a lengthy finish, it is a well-balanced wine which you could enjoy on its own, or with a nice cheese plate. You might also want to create a favorite Portuguese drink, White Port & Tonic. Founded in 1955, Adega de Borba, was the first cooperative in the Alentejo region and currently consists of about 300 associates whose vineyards cover a total area of 2,200 hectares, distributed in 65% in red grape varieties and 35% in white grape varieties. I tasted their 2014 Montes Clares Reserva Tinto ($13.99), having previously enjoyed the 2010 vintage. This new vintage is a blend of Trincadeira, Aragonez, Cabernet Sauvignon, and Tinta Caiada, which was matured for about 12 months in new French and American oak and then 6 additional months in the bottle. With rich flavors of plum and blackberry, there was a strong spicy undertone with a subtle earthy element, especially on the finish. Tannins are manageable and it has a fairly lengthy finish, especially for such a value wine. Pair this wine with meat, from wild boar to steaks, though it would work with a juicy burger as well. The 2013 Adega de Borba Reserve ($18-$19) is another wine of which I previously tasted an older vintage, the 2011. A blend of Aragonez, Trincadeira, Castelão and Alicante Bouschet, the wine spends about 12 months in French oak, and then another 6 months in the bottle. Like the prior vintage, this is a delicious, complex wine and an excellent value. Though it is a powerful wine in some respects, that power is restrained within a velvet glove, presenting a silky smooth taste. There are lush black fruit flavors, plenty of intriguing spice notes, and some exotic herbal accents. This is another wine which would benefit from pairing with meat dishes. It is an impressive wine and one I highly recommend. Vallegre, with five generation of family in the Douro region, produces Port wines and Douro DOC table wines. They own 3 estates in the Douro region, with approximately 100 hectares of vineyards, and some of the vines at Quinta da Vista Alegre are over 80 years old. Their 2012 Costa Do Pombal Red ($8-$10) is made from a blend of Touriga Nacional, Touriga Franca, Tinta Roriz, and Tinta Barroca. It is a fruity and easy drinking wine, with low tannins, a hint of spice, and a pleasing finish. An excellent value wine, and you'll be hard pressed to find better wines under $10. The 2012 Quinta Valle Luongo Reserva Red ($14.99) is another excellent value wine. It is made from a blend of Touriga Nacional, Tinta Roriz, and Touriga Franca. It has more black fruit flavors, especially plum, with a more prominent spicy component, and more overall complexity. This is a wine that would benefit from pairing with food, and is another price that over-delivers for the price. Did you taste any compelling Portuguese wines at the Boston Wine Expo? Last year at the Boston Wine Expo, I was pleased to visit the booth of Bodegas Hidalgo La Gitana, a Spanish Sherry bodega which now also makes still wines. Back in 2010, I visited this winery in Sanlúcar de Barrameda and it was one of the highlights of my visit to the Sherry region. They produce some amazing Sherries from Manzanilla to VORS Palo Cortado, and I highly recommend you enjoy any of their Sherries. Please read my previous article, Bodegas Hidalgo La Gitana: Manzanilla Mecca, for background information about this winery and see my Expo post from last year for reviews for some of their wines. This year, while speaking to the Hidalgo La Gitana representatives, they mentioned that they have been improving the quality in their vineyards, noting that the grapes are more important than some other wineries seem to consider, who see the solera method as the most important aspect of wine making. Hidalgo La Gitana have also been trying to make improvements in the cellar, in the solera process used to make their sherries. In addition, they are now making their own whiskey, which has currently aged for about eight years, and will be aged in Pedro Ximenez barrels and then finished in Oloroso Sherry barrels. I look forward to when they eventually release this whiskey. My Top Favorite Wine of the Boston Wine Expo was their Wellington Palo Cortado VOS, which is an average of 20 years old. This is an amazing wine, complex and compelling, intriguing and delicious. The melange of aromas and flavors found in this Sherry will tantalize your senses, including roasted nuts, caramel, vanilla, and a briny element. It is elegant and ethereal, very food friendly, and the finish lingers and lingers within your mouth, making you crave another sip. Sherry is so under appreciated in the U.S. but this is the type of Sherry that would convert any wine lover. Highly recommended! Quixotes's Wines imports Spanish wines from the region of Castilla-La Mancha and presented wines from several different wineries at the Expo. I stopped at the booth for Bodegas Villavid as they had a couple wines made with the Bobal grape. Bodegas Villavid, a cooperative that was founded over 50 years ago, is located in the Manchuela D.O.. It has more than 600 members, working on over 1600 hectares of vineyards. About 70% of the vineyards have Bobal, which once was used mainly as a blending grape. Though Bobal is indigenous to the region of Utiel-Requena, it is grown in a few other regions, such as Manchuela. Bobal derives its name from the Latin term "bovale" which refers to the shape of a bull’s head. The Bodegas Villavid Rosado is made from 100% Bobal, and the wine spent 6-8 hours macerating on the skins. With pleasing red fruit aromas, this is a dry and more full bodied Rosé with rich flavors of cherry and raspberry. With a crisp acidity, there is also a subtle hint of spice, especially on the moderately long finish. Very food friendly and just plain delicious. Highly recommended. The 2014 Bodegas Villavid Roble Bobal, made from 100% Bobal, spent 3 months in American oak. It is smooth and easy drinking, with bright cherry and strawberry flavors, enhanced by subtle spice notes. It is medium-bodied, with good acidity and a moderately long finish. A perfect burger and pizza wine as well as an everyday quaffer sure to please. 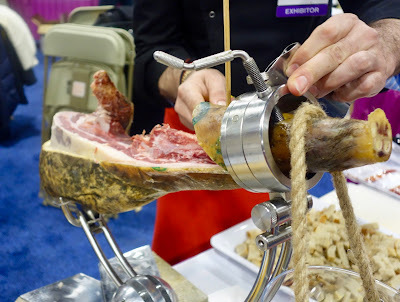 Did you taste any compelling Spanish wines at the Boston Wine Expo? 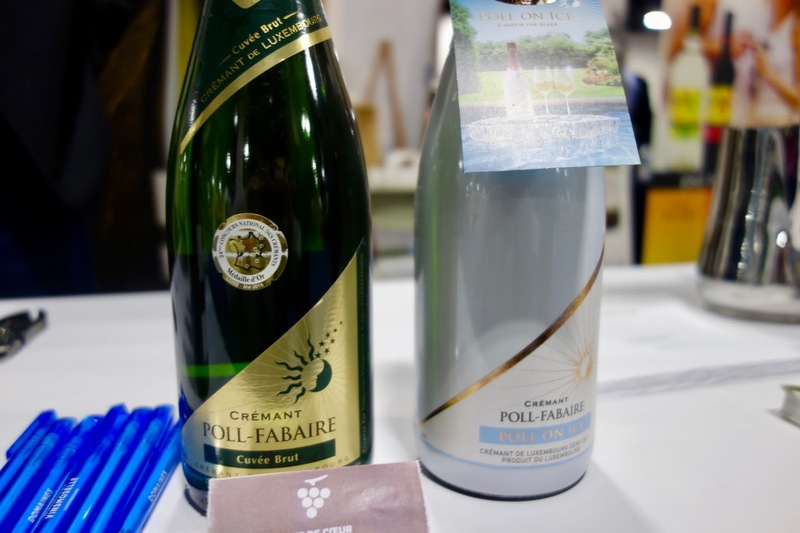 Despite the number of French wines at the Boston Wine Expo, there were only two wines from the Alsace region, located in northeastern France. I've previously enjoyed many wines from Alsace, from delicious & dry Riesling to compelling Crémant d'Alsace. "As I've said repeatedly before, Alsatian wines are generally not on the radar of the average consumer but they should be. They can often provide excellent value and taste. They are enjoyable while young but can also age well. They can provide a sense of history, as well as showcase state of the art wine making. At their most basic though, they are delicious." There should be more Alsatian wines at the Expo, especially as there is a significant growth of imports. For example, Alsatian wine exports to the U.S. have increased by about 24% since 2011. In addition, the U.S. is the 3rd largest import market by value. Alsatian wines have plenty of room for growth, but it is obvious that Americans want more Alsatian wines. Fine Terroir Selections imports wine from France and other Mediterranean countries, representing a single Alsatian producer, the Ruhlmann Winery. The ancestors of the Ruhlmann family were Hungarian knights who settled in the central Alsace back in 1688. The estate includes approximately 75 acres, with two Grands Crus (Frankstein and Muenchberg) and two Lieu-dit sites. The winery produces five different lines of wines, from Cépage to Cave Précieuse, using grapes such as Auxerrois, Chasselas, Sylvaner, Pinot Blanc, Pinot Gris, Riesling, Muscat, Gewurtztraminer and Pinot Noir. The 2015 Ruhlman Riesling Cuvee Jean-Charles ($12.99) is more of a traditional dry Riesling with bright lemon, pear and citrus flavors, crisp acidity and some mineral notes. At this price, it is an excellent value wine, offering more complexity than many other Rieslings at this price. I think this would be an excellent seafood wine, with everything from oysters to sushi. About 90% of the Alsatian wine production is white, so their Pinot Noirs are more difficult to find. I've tasted a number of Crémant d'Alsace Rosés, made from Pinot Noir, but their still Pinot Noirs have been elusive. The 2015 Ruhlman Pinot Noir Cuvee Mosaique ($14.99) was absolutely delicious, an easy drinking Pinot with a nice melange of flavors. It is very light red in color as well light-bodied on your palate. It offers bright red fruit flavors, cherry and raspberry, a hint of an underlying earthy element, and a decently long finish. At this price point, this is one of the best value Pinots you'll find and highly recommended. I'd buy this by the case to enjoy on its own or with dishes from burgers to pasta. It also means I need to seek out more Alsatian Pinot Noirs. Wine importer Ansay International represents Domaines Vinsmoselle, a wine cooperative in Luxembourg that was founded in 1921. The cooperative is located on the banks of the Moselle, encompassing about 800 hectares of vineyards surrounding Chateau de Stadtbredimus, the former home of Edmond de ls Frontaine, the national poet of Luxembourg. The cooperative, with almost 300 winemakers, also includes the traditional wineries of Greiveldange, Grevenmacher, Remerschen, Stadtbredimus, Wellenstein & POLL-Fabaire Cremant Development Center in Wormeldange. Some of their wines were first imported into the U.S. last spring. Luxembourg is a small country, surrounded by France, Belgium and Germany, and when I tasted several of their wines it brought to mind the wines of Alsace. Similar grapes, similar styles. The NV Domaines Vinsmoselle Pinot Luxembourg is a blend of Pinot Auxerrois, Pinot Blanc, and Pinot Gris. It is intended to be an entry level wine, and it is fresh, crisp, and fruity, with delicious pear and melon notes and hints of herbal notes. And at only 11.5% ABV, you'll be able to drink plenty of this wine. It would be tasty on its own or paired with food, from seafood to light chicken dishes. The 2014 Bech-Kleinmacher Naumberg Auxerrois Grand Premier Cru, with a 12.5% ABV, is a more complex and intriguing wine, with citrus and melon notes, but also a nice mix of spices and herbs, elevating its balanced taste. It is elegant, with a lengthy finish, and will delight and fascinate wine lovers. The 2014 Wormeldange Wousselt Riesling Grand Premier Cru, with a 12% ABC, will remind you of an Alsatian Riesling. It is dry and aromatic, with plenty of lemon, lime and mineral notes of the palate. There is also a mildly spicy undertone, lots of complexity, and a lengthy, satisfying finish. The NV Poll-Fabaire Crémant de Luxembourg Brut, with a 12% ABV, is a blend of Pinot Auxerrois, Pinot Blanc, and Riesling, presenting as fresh, clean and dry, with pleasant fruit flavors, a full-body, and a nice minerality. Tasty and creamy bubbly which should please. Bring on more Luxembourg wines if they are as delicious as these examples. 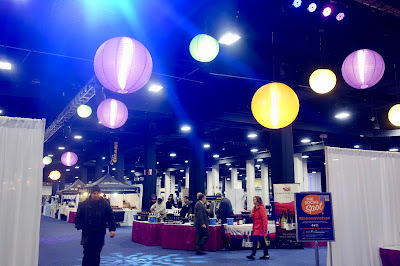 As I mentioned previously, the Boston Wine Expo had numerous food exhibitors, many offering free samples of their products. This was beneficial with all of the wine offered in the Grand Tasting as you had a way to refresh your palate, and help soak up the alcohol. You also possessed the opportunity to try some food & wine pairings. Some wines, especially the more tannic ones, taste better when consumed with food. In addition, you could find some new food products that you'll want to later buy and eat at home, take to a party, or share with family & friends. I'm certainly interested in finding new food products so my wanders through the Grand Tasting Hall always include checking out the various culinary booths. I'm going to highlight some of my favorite food finds from the Expo, and would like to hear about your own favorites too. 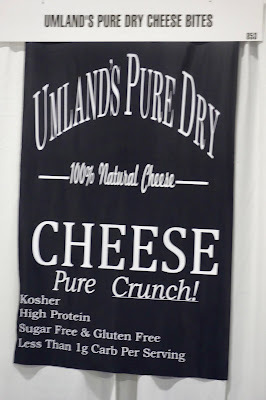 Wine & cheese can be an excellent pairing and there were plenty of cheese samples at the Expo. I wandered from Yancey's Fancy New York Artisan Cheese (pictured above) to Cabot Creamery, from Finlandia to Kerry Gold. Each vendor offered several different varieties and flavors of cheese, allowing you to play more with various potential wine pairings. Several restaurants had booths at the Expo, sampling out one of their dishes. For example, The Living Room offered Momos, a South Asian dumpling, native to Tibet and Nepal. You could get a Vegetable or Beef Momo, and then add your choice of sauce, from Soy-Sake to Sweet Chili. I enjoyed the meaty Beef Momo, and stopped by the booth multiple times. McCrea's Candies, which regularly has a booth at the Expo, produces a diverse variety of tasty caramels and I've been a fan of their caramels for about five years. Some of their flavors include the following: Black Lava Sea Salt, Single Malt Scotch, Rosemary Truffle Sea Salt, and Ginger Fusion. I'm also pleased that this is a local company, another reason for my support. These caramels can pair well with some dessert wines, such as Cream Sherry, or even sparkling wines. I would like to do a taste test, pairing some of these caramels with hard cider. Another local producer is Top Shelf Cookies, which makes a variety of fresh cookies from a kitchen in Dorchester. Owner Heather Yunger, a huge Boston Bruins fan, began with her Black & Golds, a chewy dark chocolate cookie studded with peanut butter chips. She makes around 17 different types of cookies, such as the Cocoverdose, a chocolate lover's dream with its three kinds of cocoa and three kinds of chocolate chips. The Fluffernutter is a very local cookie, using peanut butter from Everett and Marshmallow Fluff from Somerville. Primizie Thick Cut Crispbreads gave away plenty of sample bags of their various flavors. I'll be talking more about Primizie in its own post in the near future, but in short, these are thick, tasty chips, perfect for using with dips. I was impressed with the crunchy cheese bites from Umland's Pure Dry, a Midwest family-owned company which was just founded last year. 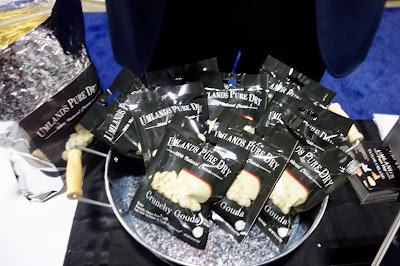 They use "100% natural kosher Wisconsin cheese", as well as gluten free, which is vacuum dried into tiny crunchy pieces. There are three flavors: Crunchy Cheddar, Gouda and Pepper Jack. When you look at the back of the package, and look at the ingredients, all you will see is a single ingredient, Cheese! I found these to be nearly addictive, and it's very easy to devour a bag of these crunchy cheese snacks. Though my favorite flavor was the Gouda, the other two were tasty as well. I like the crunchy texture of these snacks, and would like to use these atop a salad or in some other dish. The local producers continue! 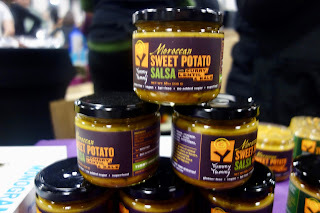 Yummy Yammy, based in New England, makes 100% sweet potato salsas which use no tomatoes. You can find three different varieties, including Moroccan, Tuscan, and Mexican (which comes in three heat levels). My favorite was the Moroccan Salsa (medium heat), which is made with Curry, Lentil & Kale. It has a strong and delicious curry flavor and is an excellent dip, though I could easily see that as an ingredient in a variety of dishes. It only has a mild spicy kick and I would like to see another version of this Salsa with more heat. The Tuscan Salsa (medium heat) is made with roasted red pepper, white bean and basil. It is a thicker salsa, with rich flavors, and a mild spicy kick. The Medium Mexican Salsa, which is made with corn, black bean, lime juice, and chipotle, was also rich in flavor and has a different, but compelling, flavor from usual tomato salsa. 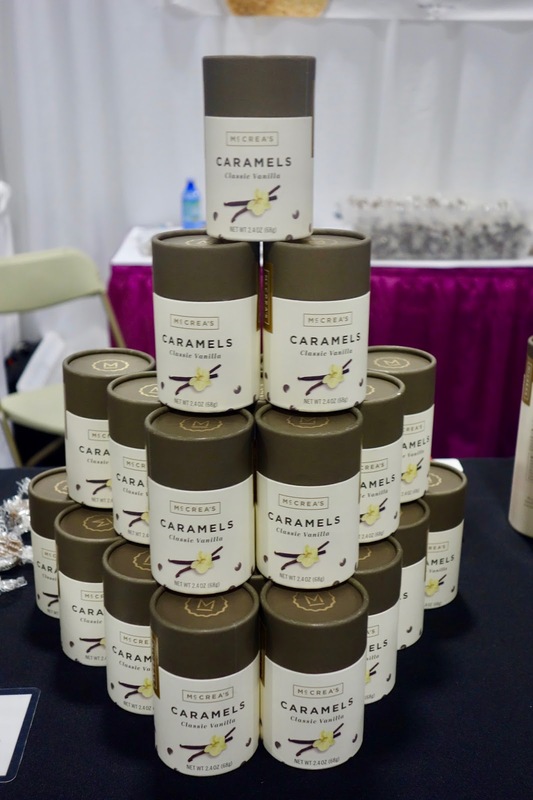 What were your favorite food finds at the Expo? Last year, 13 of the 42 wines on my annual Top Ten Wine lists were tasted at the 2016 Boston Wine Expo. The 2017 Boston Wine Expo took place last weekend and how many of the wines I tasted there will end up on my year-end Top Ten lists for 2017? I suspect the total will be at least similar to the prior year and I wouldn't be surprised if it were higher. Some of my wine finds this year include the following: a 20-Year Old Spanish Palo Cortado Sherry, an Alsatian Pinot Noir, a number of intriguing Georgian wines fermented in traditional qvevri, Slovakian Mead, an extremely old Port from 1870, fascinating wines from Luxembourg, a Spanish Bobal Rosé, South African Pinotage and Chenin Blanc, Old-World style California wines, tasty Israeli wines, and much, much more. What were some of your wine finds this year? 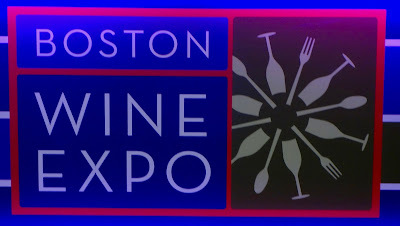 This year, the Boston Wine Expo was held on February 18 & 19 at the Seaport Hotel & World Trade Center. Produced and managed by Conventures, Inc., in collaboration with the Boston Guild of Oenophilists, the Expo gathered together thousands of wine lovers, producers, importers, distributors and others. As a media guest, I attended both days of the Expo, seeking out new wines, talking to wine makers & importers, enhancing my wine education, exploring new foods, and hanging with some good friends who also enjoy wine. Overall, it was a fruitful weekend as I discovered plenty of interesting wines, and I'll be writing about my favorites over the course of the next few weeks. Once again, I devoted most of my time to the Grand Tasting room, which featured over 200 producers and over 1800 wines, though I also visited the Vintners' Reserve Lounge and attended one of the Seminars. Overall, I tasted about 175 wines and spirits over the course of the weekend, which is almost 10% of what was available. However, that also means that I didn't get to taste over 90% of what was offered for sampling. It is a huge event and everyone can only taste but a mere fraction of all the wines which are showcased. I'm sure I missed some excellent wines, but hard choices needed to be made, and I had to confined my tasting to only a small slice of the available wines. Once again, the Grand Tasting offered intriguing diversity in some respects, but failed in certain other areas. On the positive side, you could find wines from lesser known wine countries including Bulgaria, Georgia, Israel, Lebanon, Luxembourg, Romania, Slovakia, and Slovenia. More well known regions, such as California, France, Italy, Spain, South Africa and Portugal were well represented. I was pleased to see more spirits showcased at the Expo and hope that trend grows in the next few years. However, some countries and regions had very limited or no representation. For example, there was only one Sake producer at the Expo and as I have often said, I fervently wish many more Sake breweries were represented at the Expo. I would also like to see more Alsatian wines, Spanish Sherry, Ports from Portugal, Italian Franciacorta, wines from U.S. states besides the major ones, and Uruguayan wines. The Vintners Reserve Lounge also suffered from a lack of diversity, presenting many California wines but much less from other world regions. In addition, a significant number of the wines in this Lounge were the same as in prior years, albeit some might be newer vintages. I understand some of the reasons for the lack of diversity in some areas. It isn't cheap to have a table at the Expo and not all producers, especially the smaller ones, believe they receive a sufficient economic benefit for the cost. As I mentioned last year, maybe the Expo organizers could try to address this matter by providing reduced pricing for small wineries, maybe based on production levels. In addition, maybe Expo organizers could also be more proactive in trying to bring more exhibitor diversity to the event by actively seeking out producers in regions which have been under-represented in the past. During the trade hours, from 11am-1pm, it is a quieter time so I was able to taste plenty of wines and speak to the producers, distributors and importers. Once the public hours began, at 1pm, it was tougher to do so, especially on Saturday, when the crowds fill the great hall. You often have to wait in line to reach a specific table, and the producers, distributors and importers have less time to speak with each person who comes to their table. On Sunday, the crowds were smaller so it was easier to access the tables and talk to the pourers. While tasting wines during the public hours, at several different tables, consumers asked to taste the wines that I was tasting, saying that as I was taking notes, I probably knew what I was doing. It indicates to me that some consumers want guidance of what to taste at the Expo. With over 1800 wines available, it is difficult to know what you should taste. Prior to the Expo, I provided my own Suggestions for what I thought that attendees should taste and some people took advantage of my list. Hopefully I can get my recommendations out to more people next year. In addition, maybe the Expo could offer private tours to attendees, taking them from table to table, trying to show them some of the most interesting wines at the Expo. The Expo is a social occasion, and the vast majority of people that attend the Expo do so with friends and/or family. I got to see a number of my own wine loving friends at the Expo, including Andrew, Karin, Chanie, Terry, Brad, Susan, Roz, Jonathon, and Larry. We shared some of our favorite wine finds and though I enjoy discovering new wines, I also get much enjoyment from sharing those discoveries with others. And it is even better when your friends find joy in the wines you recommended. The wine seminar which I attended, on wines from the Douro Valley of Portugal, was well attended. A number of fascinating wines were presented for sampling and the speaker was personable, humorous and informative. I'll be posting a more in-depth report on the seminar in the near future. Did you attend any of the seminars? If so, what did you think of it? Besides all the wine available at the Expo, there were a number of food exhibitors, many offering free samples of their products. As I've often repeated, at such a large wine event it's beneficial to have plenty of food samples to help absorb the alcohol and cleanse the palate. I have also recommended before that attendees should try to pair some of these food samples with the wines they taste. I enjoyed a number of different and new foods and will talk about them in the near future as well. What were your favorite foods? Did you try any food and wine pairings at the Expo? Stay tuned for my upcoming reviews of the foods and wines I most enjoyed at the Expo. 1) On Tuesday, February 28, from 6:30pm–9p.m, the Boston Harbor Hotel will host The Macallan Whisky Tasting & Dinner at the Rowes Wharf Bar. Chef Daniel Bruce will serve up a three-course dinner, paired with pours of The Macallan. Included in the tasting for the evening is Reflexion, a luxurious offering from the brand’s 1924 series and a true reflection of the foremost influence of the first fill sherry seasoned oak casks. Tickets are $175 and can be purchased through Eventbrite. 2) Anthem Kitchen and Bar, the comfortable neighborhood restaurant tucked away in the heart of Boston’s Faneuil Hall, is bringing the beloved tastes of the South to New England with a special pop-up Country Brunch on Sunday, February 26, from 9am-2pm. You'll enjoy the unique flavors and takes on traditional country dishes at this pop-up featuring country favorites such as Sour Cream Pancakes with Maple Pecan Butter, Beignets with Bananas Foster Sauce, Ham and Goat Cheese Quiche, Spicy Fried Chicken with Sweet Grits & Berry Compote, Shrimp Andouille Omelet, and many more. Wash it all down with sips of some southern charm with drinks like the Milk Punch, the John Daly, the Maple Bacon Old Fashioned and the Ghost of Maria. 3) The Mandarin Oriental, Boston will debut its MOtini Pop-Up Lounge on Wednesday, March 1. This pop-up will be located in the hotel’s lobby and will blend classic contemporary style with modern Oriental touches. Set amongst the exotic blonde wood paneling and cozy fireplace, the ambiance is luxurious yet comfortable, making it an ideal spot to enjoy a pre-dinner cocktail, a late-evening nightcap or an inviting place to gather socially and unwind after a busy day in Back Bay. The MOtini Pop-Up Lounge will feature a selection of seasonal small plates, complemented by an array of hand-crafted martinis. The select menu will include: Kombu Cured Tuna Crudo enhanced with a wakame seaweed salad and bonito ponzu; Crispy Pork Belly glazed with Korean peppers and cucumber kimchi; freshly shucked New England Oysters accompanied by a red wine mignonette; classic Shrimp Cocktail and Fried Olives served with a creamy blue cheese dressing. In addition, an assortment of petit fours from Pastry Chef Robert Differ will provide a sweet finish to this light fared menu. Signature martinis, $15 each, will include: Sandalwood Fire Knob Creek Rye Whiskey, Dolin Rouge and Cocchi Americano Rosa; Azure Nights Smith & Cross Jamaican Rum, Falernum, allspice, passion fruit and pineapple; Vetiver Poivre Żubrówka Vodka, green chartreuse, lime and thyme and ‘Jacks Are Wild’ ($10, non-alcoholic) apple cider, red cranberry, lychee blend and lime. The MOtini Pop-Up Lounge at Mandarin Oriental, Boston is able to entertain 25 seated guests or a reception for up to 50. Regular hours of service will be Tuesday to Saturday from 5pm-10pm. Reservations for groups of six or more people are available. For additional information, please contact (857) 400 2062. 4) “Laissez les bons temps rouler!" is a Cajun expression meaning "Let the good times roll!" and it strongly conveys the joie de vivre ("joy of living") attitude of The Beehive’s 10th Annual Mardi Gras celebration on Fat Tuesday, February 28. The Beehive has spared no expense in making this year’s festivities as authentic as possible with Cajun style cuisine and hand-crafted New Orleans-style cocktails. Diners and partygoers alike can look forward to the soulful sounds of jazz musician and trumpet great Alex Lee Clark and his band which will keep the crowd singing and swinging all night long. From 5pm-12am, trumpet player, composer and arranger Alex Lee Clark who has played with the Temptations and the Four Tips, will take The Beehive’s stage along with his band to fill the space with the life that Mardi Gras deserves! Clark has crafted a unique and exciting sound by blending jazz and pop sensibilities and is one of the most in-demand jazz performers. Chef Gregory Torrech will cook up Cajun-inspired a la carte specials, like Louisiana shrimp and grits, pan-fried catfish and Cajun seafood jambalaya in addition to the regular dinner menu. In addition to dinner, revelers can enjoy celebratory cocktail and complimentary Mardi Gras beads! There is no cover charge for this event. Regular menu served in addition to all special items. To make a reservation, please call 617-423-0069. Last fall, one of my favorite restaurants, Committee, started off the fall season of their monthly wine dinners highlighting the cuisine and wines of the island of Cyprus. I previously wrote that the waters surrounding Cyprus were "...said to have once been the lair of Scylla, a terrible sea monster which is alleged to have possessed a serpent's body, six canine heads, and twelve limbs. Scylla was supposed to have taken six sailors from the ship of Odysseus." 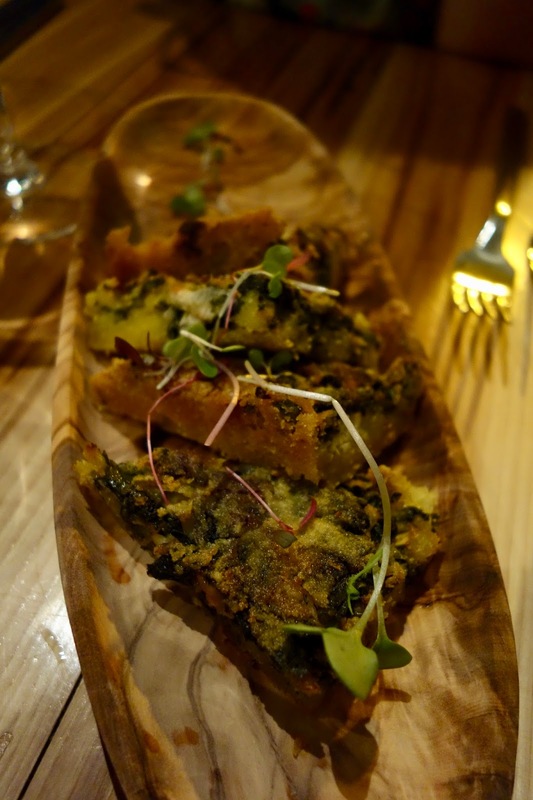 This month, the wine dinner at Committee (at which I was a media guest) highlighted the cuisine and wines of Lamia and Central Greece, and there is an intriguing connection to the earlier Cypriot dinner. The city of Lamia may have been named after Lamia, the daughter of the god Poseidon, and she is said to have been the mother of the monster Scylla, as well as another creature, Acheilus the Shark. The region around Lamia is very marshy land, so grape vines don't grow well there, though it is the home of Retsina, a Greek resinated wine which has a bad reputation in some circles. However, it is a reputation that needs redemption as there are a number of excellent examples of Retsina which can now be found. This is also an area which is very meat-focused and as there is little red wine in the region, they traditionally drink white wine with their meat dishes. That is certainly a more unique pairing. This wine dinner also was intended to introduce Committee's new Chef de Cuisine, Theo Tsilipanos (pictured at the top of this post). Theo is a native of the city of Lamia, having owned a restaurant there for eight years before deciding to move to Boston. 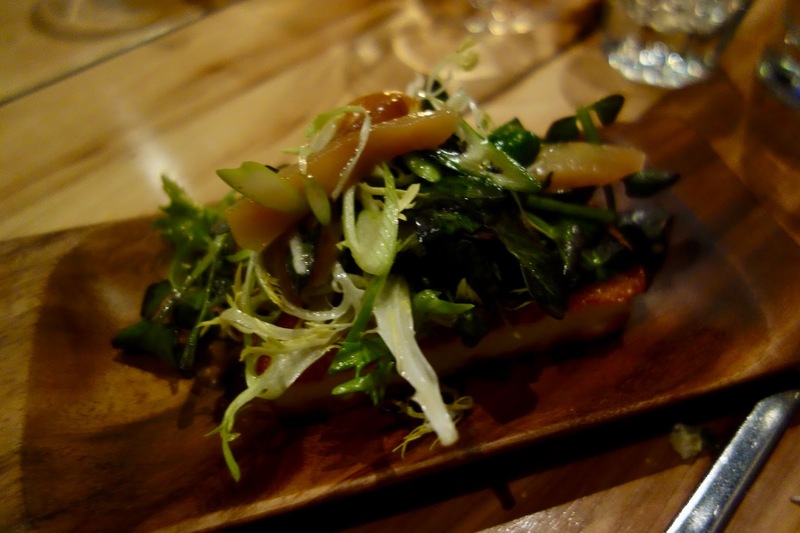 Locally, Theo has worked at restaurants including Sel de la Terre, La Brasa and L’Espalier. For this dinner, Theo collaborated with Consulting Chef Diane Kochilas and Wine Director Lauren Friel, who selected the wines for each course. If you've never attended one of their wine dinners, you really should do so. They are usually held in a small, private room and the multi-course dinner will intrigue and delight your palate, as will the well-paired Greek wines. Chef Theo didn't disappoint, creating a delicious dinner which was evidence of his culinary skills. I've also been back to Committee since this wine dinner, trying more of Chef Theo's cuisine, and he impressed me once again. I continue to highly recommend Committee to everyone. We began the evening with Babanatsa, homemade cornbread with greens, which is not a combination I usually would consider but it worked. The cornbread was moist and tasty, and the green added an interesting texture as well as a bit of bitterness in opposition to the sweetness of the corn. This type of traditional food was intended to be easy to carry, when farmers and others were climbing up and down the mountains of the region. We then proceeded onto a Greens Salad with Winter Fruit & Grilled Formaella Cheese. The Formaella Cheese of Arachova is a traditional Greek cheese, a semi-hard cheese made of sheep's milk. It is commonly eaten as a table cheese though sometimes it is fried or grilled. I loved the taste of the grilled cheese and it was well balanced against the fresh greens and fruit. The cheese had a squeaky texture and I think it would be a nice substitute for cheese curds in a Greek version of poutine. Our first wine of the evening was the Mylonas Savatiano, made of 100% Savatiano from 50+ year old vines. It was aged in stainless steel and was beautifully aromatic, fresh and delicious, with pleasant flavors of pear and lemon, and a crisp acidity. This would also work very well with seafood. Our next course was Trahanopita with Shaved Bottarga Mesolongiou and Lemon Zest. Trahanopita, which roughly translates as "pasta cake," is made with trahanas, cracked wheat boiled with milk, which is then dried and preserved. It is a "farmer's breakfast," akin to Greek oatmeal. The bottarga is Greek caviar, Red Mullet roe. This had an interesting taste, almost like a potato cake but with more nuttiness, and an intriguing briny, earthy aspect. The lemon added a subtle acidity that helped to balance the dish. Paired with this dish was the Harlaftis Attiki Chardonnay, produced by one of the oldest estates in Greece. It is made from old vine Chardonnay, with fermentation in French oak and then 4-5 months of aging sur lies. It is a Chardonnay of power, with big citrus and stone fruit flavors, some mild spicy notes, and a hint of caramel. Good acidity, a lengthy finish and a nice structure. Our next course was a variation on a more traditional dish, Kontosouvli, which is usually spit roasted meat, commonly pork. Instead, we had Red Snapper 'Kontosouvli' with a Celery Avgolemono, and I didn't have any complaints. The fish was moist and tender, delicious with a nice touch of char. Seafood is always a good choice and fish grilled like this would appeal to many people. The Domaine Vassiliou ‘Siban’ is a more traditional-style wine, made from 100% Savatiano. It was fermented in stainless steel and was crisp and elegant, with bright citrus notes and hints of almonds, especially on the finish. This was certainly an excellent seafood wine, and would love to try it with oysters. Next up was Kelemia, a whole baked onion stuffed with ground meat and Kefalograviera (a hard Greek cheese). The stuffing was juicy and spicy, with a tang from the cheese. The onions were tender with a nice sweetness, balancing out the spicier filling. The pairing for this dish reflected the uniqueness of the region of Central Greece, a Kourtaki Retsina. Wine Director Lauren Friel is a big fan of Retsina and was pleased she got to pair it with this dinner. The Kourtaki is made from Savatiano, is unoaked, and has a touch of pine resin, giving it a more subtle piney aroma and taste. I've enjoyed a few Restinas in the past and this one was food too, being more subtle and thus more amenable to wine lovers than some of the more prominent and resinous wines. The last savory course was Kapamas, a lamb stew with warm spices, wine and tomatoes, which was served over Bobota (a cornmeal cream with Feta). What an alluring aroma from this dish, and the taste was its equal. 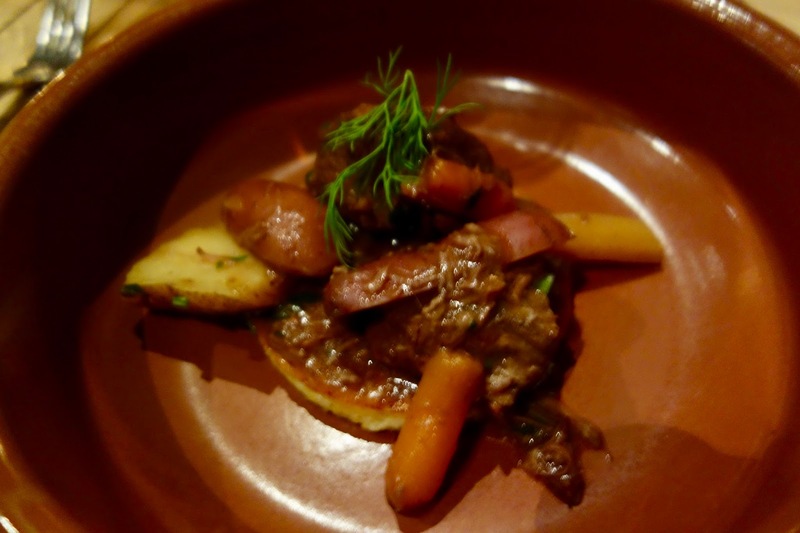 The spicy lamb was tender and flavorful, with a mild earthiness and a complex blend of tastes. The Bobota was also delicious, a rich corn flavor with such briny elements. A hearty and compelling dish, this is excellent for the winter. With the lamb, we enjoyed the Muses Estate ‘9 Muses’ Rosé, which is made from 80% Syrah and 20% Mouchtaro. And yes, Rosé is not just a summer wine, and should be enjoyed year round, especially as it is so food friendly. Mouchtaro is a very rare grape, which only grows in the area of Askri, and this winery was the first to revive this ancient grape. This dry Rosé had subtle and delicious tastes of red fruits, with a touch of white pepper and a mild herbal note. Very tasty and it stood up to the hearty lamb. Dessert was a Pasteli (a sesame and honey bar) with Greek yoghurt mousse and topped by chestnut syrup. The pasteli was crunchy and nutty, with mildly sweet accents, topped by a slightly sour mousse and the sweet, nutty syrup. Our final drink was the Muses Estate ‘Zacharias’ Tsipouro, a strong Greek brandy, sure to warm you up on a chilly evening. This past weekend, after a Saturday spent at the Boston Wine Expo, I dined at Committee with a friend who had never been there before. It gave me the opportunity to try more of Chef Theo's new dishes, and once again I was impressed, as was my friend. I just want to highlight a few of those new dishes, to showcase the new chef's talents. 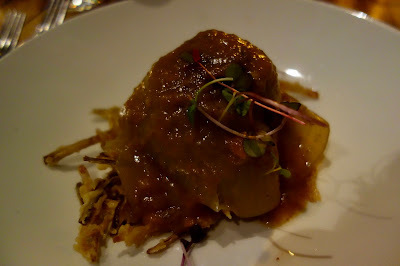 One of the specials that night was a meat version of their Artichoke Moussaka. The bottom was a layer of pasta, topped by ground beef and with a potato layer on top of it all. The beef was spiced nicely and went with the pasta, while the thick layer of potatoes was like an excellent comfort food. These are Cheese Loukoumades, which are basically Cheese Donuts! Who could refuse such a thing? 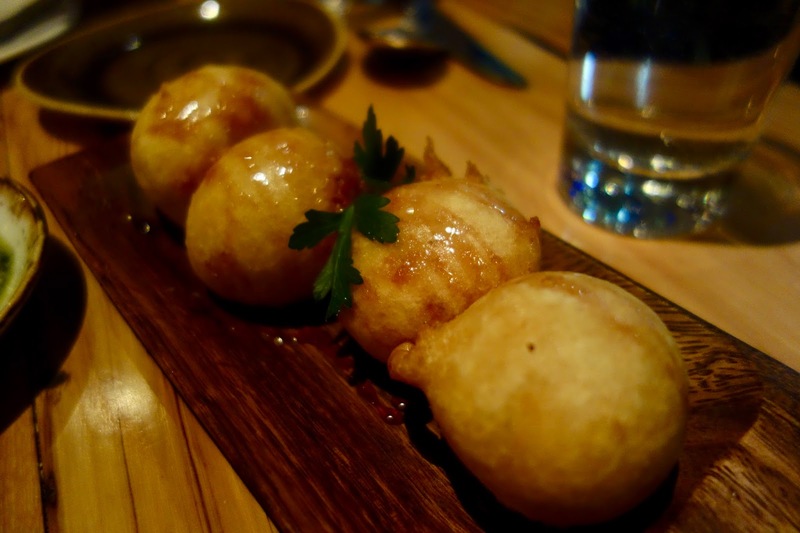 These light and crispy donut holes were filled with three Greek cheeses, including Manouri, Kasseri, & Feta, and topped by a Greek honey-vyssino glaze. Superb! The cheese blend was bright and bold, a melange of compelling flavors, and the glaze added a nice sweetness to balance off the strong taste of the cheeses. I probably could have sat and ate these loukoumades all night with a bottle of wine. Highly recommended! For dessert, we thoroughly enjoyed the Sokolata, which consisted of melted chocolate halva, crispy kataifi, pistachio powder, and mastiha ice cream. That chocolate was amazing, rich, creamy and with a nice depth of flavor. You'll want to lick the plate clean. The crispy kataifi added a nice textural element to the dish and the unusual ice cream added an intriguing flavor to the rich chocolate. I would stop by Committee just to have this for dessert again. Also highly recommended. 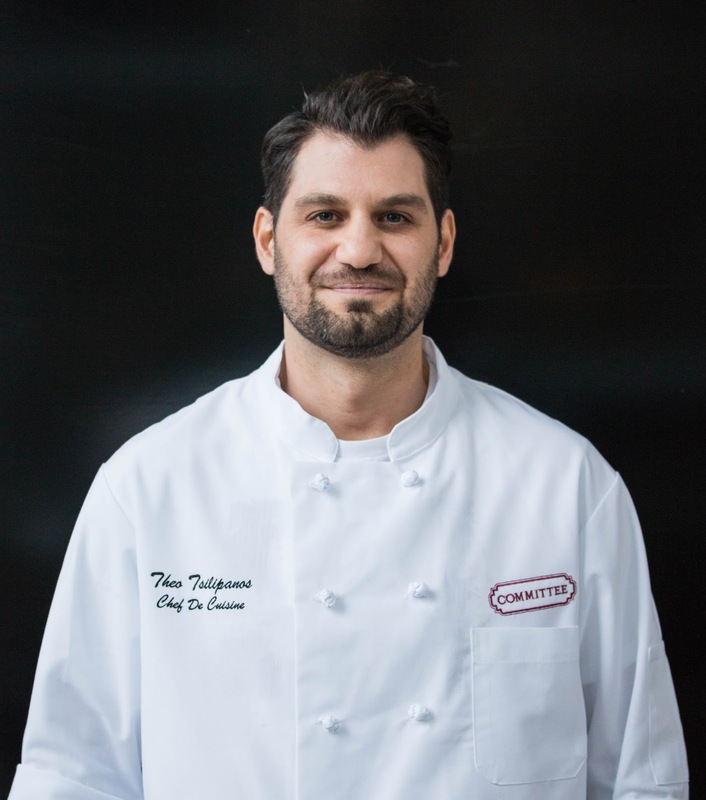 The new Chef de Cuisine, Theo Tsilipanos, is certainly making his mark at Committee and I continue to give the restaurant my highest recommendation. 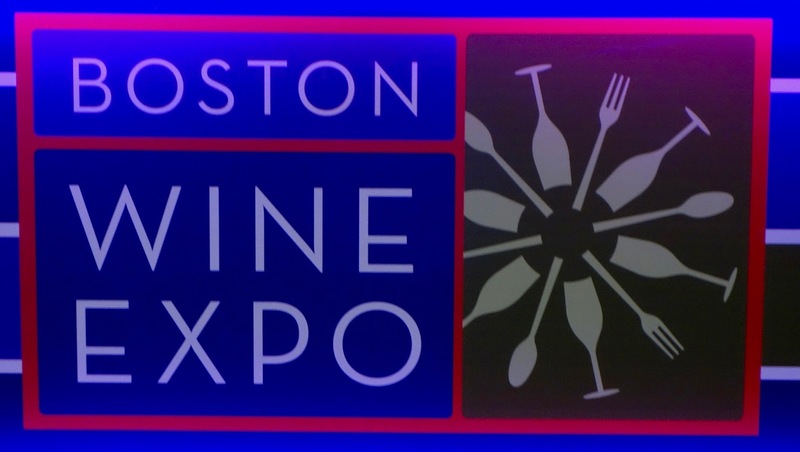 This past weekend, I spent two days sampling wines, spirits, and food at the Boston Wine Expo, tasting about 175 wines and spirits. That might seem like a lot, but you also have to note that it means I didn't taste over 1600 wines and spirits. I tasted a fraction of what was available, having to make hard choices of which tables I visited, which wines I wanted to experience. I know I missed some excellent wines but that couldn't be helped. There were just too many wines for any one person to handle. Of those wines I sampled, I found plenty of delicious and interesting ones, but I also disliked a number of those wines. Every year, I write about those wines which I most enjoyed, showcasing those worthy wines. However, which wines did I dislike at the Expo? Which wines did I think were "bad?" Frankly, I'm not going to mention which wines I disliked. In general, the wines I disliked didn't conform to my own personal preferences, such as being too sweet or too oaky, but other people might enjoy them as they have different preferences. This is made clear at the wine store where I work, where I see plenty of people enjoying wines that I wouldn't drink because our preferences are different. Thus, I can't really say a wine is "bad," but rather that I didn't enjoy it though others might find pleasure in it. At the Expo, I saw it as well, comparing favored wines with friends, and though we might agree on many of the wines, there would always be a few on which we differed. We all have our own personal preferences and that needs to be respected. Wineries often target certain groups of consumers, those who share certain preferences, and sometimes you might not be their intended audience. It won't be surprising then if you dislike that particular wine. The beauty of wine though is its immense diversity and that means there are wines for all preferences. During the upcoming weeks, when I provide specific recommendations for the wines I most enjoyed at the Expo, I don't expect every reader will be in complete agreement with my choices. However, what is most important to me is trying to expose my readers to new and diverse wines, grapes and regions, to give them reasons to expand their palates. For example, I'll be highlighting a number of wines from the country of Georgia, as I sure many of my readers will know little about their wines, but I'm also sure they would enjoy them if they sampled them. I want to embrace the positivity of my wine experiences from the Expo, rather than dwelling on the negative examples. And I fervently hope that my passion for the wines I will highlight will infect my readers and cause them to seek out at least some of those wines. As the number of new restaurants in Burlington continues to rise, one of the hottest new additions is the Island Creek Oyster Bar, located near the Burlington Mall in The District complex. Similar in many respects to the original Kenmore location, this Island Creek is larger, with three private dining rooms, raw bar seating, and a more spacious dining room. Earlier this week, I had lunch at Island Creek with my mom and the meal was so excellent, I needed to write about it immediately, though please note that this is not a full review, just an initial glimpse into the seafood wonders you'll find here. They have an extensive and interesting drinks programs, with a number of local spirits and intriguing cocktails (priced $12-$13). The wine list is also diverse with lots of fascinating choices, and wine lovers will definitely find plenty that interests them. I opted for a glass of Orleans Borbón Manzanilla Fina Sherry, an excellent choice for seafood and fried food. However, I do wish they added some Sake to their list, which is also a great pairing with seafood. The lunch menu, which changes to some degree every day, has a Raw Bar section, Appetizers, Salads, Soups, Lunch Entrees ($13-$18), Shore Food Entrees ($15-$27), and Sides. The Raw Bar has numerous Oysters, Crudo/Ceviche, and Shellfish. The majority of the menu is seafood, but there are a few non-seafood options, such as a Colorado Angus Burger and ICOB Rigatoni, but make no mistake, this is a shrine to the bounty of the sea. We began with Shrimp Cocktail ($3.50/piece) and these were monstrosities, some of the largest shrimp you'll find most anywhere. They were tender, cooked perfectly so that they weren't rubbery or tough. An excellent beginning to lunch and if you love shrimp, then you definitely need to order these. We also started with the Yellowfin Tuna Poke ($15), with cucumber, sesame, chili, nori and large taro root chips. Silky tuna, with tangy citrus and mild spiciness, delighted my palate. The thin, crisp taro root chips were a nice platform for the poke and the sesame seeds added a bit of crunchiness and a nutty element. Another compelling dish. The Fried Ipswich Clams ($27/large) come with some cole slaw and french fries, and the clams tend to be smaller than some places, but that isn't a flaw. These are sweet and tender, with a fresh and light batter with a delicious crunch. They aren't gritty in the least, and are certainly addictive, as you find yourself popping fried clam after fried clam into your mouth. Fried perfection. And even the french fries are top notch, with a nice crunchy coating and a fluffy interior. A Tuna Melt is a rather common sandwich, yet there are restaurants which elevate it to new heights, and Island Creek accomplishes that objective. The Confit Yellowfin Tuna Melt ($13) is on white rye, with ICOB pickles and Fontina cheese, and it is frankly one of the best tuna melts I've ever eaten. The creamy and delicious tuna filling doesn't ooze mayo like some other tuna melts, and the pickles add a nice texture as well as some sweetness. The melted fontina adds some nutty notes and the bread, with panini-like grill marks, is just the right thickness. Everything meshes well together, creating a superb sandwich and one I highly recommend. How do you end such an excellent lunch? With an equally compelling dessert. The Banoffee Pie ($9) is an English dessert pie, commonly a blend of bananas and toffee, though Island Creek uses dulce de leche. The banana slices atop the pie have a light, crunchy layer of dulce de leche and would be a tasty dessert on their own. The silky and sweet cream is compelling, a fine topping for the thick banana slices beneath. Though the pastry shell beneath the pie was tasty, it was a little too thick for my preferences. But that is a minor issue with an otherwise scrumptious dessert. Service was excellent, and the entire staff shares working together at every table. They are consummate professionals, knowledge and personable, attentive without being obtrusive. It was such a positive lunch experience, with superb seafood, and I'm eager to return. Island Creek Oyster Bar is a welcome addition to Burlington and I highly recommend you dine there. 1) Cook, located in the heart of Newton, is featuring a parade of Mardi Gras specials inspired by New Orleans’ favorite feast. On Tuesday, February 28th, from 4:30pm to close, the Newton restaurant is expanding its intimate neighborhood vibe to include the carnival’s vibrant energy. Guests can indulge in small plates like Bourbon Honey Mustard Wings ($10), or feast on flavor-packed entrees like Drunken Mussels made with Andouille Sausage ($14), and a Cajun Shrimp Flatbread with a spicy garlic cream ($16). Sweeten the Mardi Gras meal with an order of house-made Beignets ($6). Toast the night with the Special Fat Tuesday cocktail with Bulleit Rye, Myers Dark Rum and grapefruit ($12). Reservations recommended by calling (617) 964-2465. 2) Salty Pig Executive Chef Josh Turka along with the Salty Pig staff will bring back the popular “Red Sauce Sundays” promotion starting this week on Sunday, February 19, from 5pm-10pm. Guests will enjoy a taste of old school Italian with the sounds of Sinatra and Dean Martin on the sound system, red and white checkered tablecloths and chianti bottles on every table. Dishes start at $7 and go to $19. Salty Pig Executive Chef Josh Turka has created a Red Sauce menu that will be available all night that includes starters like garlic knots and meatballs; pastas like fusilli al fredo and fettucine bolognaise; entrees like chicken parmesan and sausage and peppers; along with brick oven pizzas and build-your-own charcuterie boards. 3) One of Boston’s most anticipated culinary occasions of the year, A Taste of Ginger, will be held on Monday, March 27, from 6:30pm-9:30pm, in the beautiful Art of the Americas Wing at the Museum of Fine Arts. Proceeds from A Taste of Ginger will benefit Joslin Diabetes Center’s Asian American Diabetes Initiative (AADI) which works to enhance the quality of life and health outcomes for the rising number of Asian Americans living with diabetes, and collaborates with Joslin as they work to find a cure. Each year, hundreds of supporters and foodies gather to enjoy a lively evening, including the opportunity to meet and taste the cuisine of Boston’s most celebrated chefs such as Joanne Chang, Jasper White, Andy Husbands and Dave Becker amidst the beauty of the MFA. Emceed by NBC Boston anchor and health reporter Kristy Lee, the event will honor David Wong, owner of Empire Garden Restaurant, for his outstanding commitment to Joslin’s AADI . Dr. Nandan Padukone, head of the Office of Commercialization and Ventures at Joslin Diabetes Center will co-chair the event alongside Hepzi Fonseca. Joslin Diabetes Center is world-renowned for its deep expertise in diabetes treatment and research. A federally designated Diabetes Research Center, affiliated with Harvard Medical School, Joslin is dedicated to finding a cure for diabetes and ensuring that people with diabetes live long, healthy lives. We develop and disseminate innovative patient therapies and scientific discoveries throughout the world. In response to the rising rates of diabetes in the Asian American population and the lack of culturally relevant research, clinical care, and education, Joslin Research Director George L. King, MD, and supporters of Joslin Diabetes Center, established the AADI in 2000. For over a decade, the AADI has made substantial advances to enhance to quality of life and health outcomes for Asian Americans living with diabetes through research, education, outreach and culturally appropriate treatments. 4) Poutine, a favorite French-Canadian dish originating in rural Canada, is composed of a trio of key ingredients: French fries and fresh cheese curds smothered in brown gravy. The growing popularity of this flavor-packed dish is certain to satisfy the most extreme of cravings. This winter, The Beehive is introducing a variety poutine dishes with a modern spin. For its late night menu, The Beehive’s innovative team decided to veer away from its familiar multicultural dishes to craft a selection of Canadian-inspired poutine recipes. Executive chef, Gregory Torrech, proves he has no limits when it comes to perfecting Canadian cuisine by developing a menu composed of a variety of savory entrees inspired by traditional poutine. Included in Chef Torrech’s late night poutine menu is Classic Quebec Poutine “á la Beehive” with Beehive frites, cheese curds and roasted veal gravy ($13), BBQ Braised Beef Cheeks Poutine with caramelized onions and veal roasted gravy ($18), and Lobster Poutine with Cajun Etouffèe Gravy ($21). The late-night menu is available Sunday through Wednesday, 10pm-11pm, and Thursday through Saturday, 11pm-1am. 5) On Monday, February 27, at 6:30pm, Legal Harborside will host a four-plus-course Bethel Heights Vineyard dinner with winemaker Ben Casteel. Founded in 1977 by twin brothers Ted and Terry Casteel, Bethel Heights is an Oregon winery in the Eola-Amity Hills AVA of the Willamette Valley. While initially only a vineyard, a winery was built with the first estate wines produced in 1984. The winery specializes in Pinot Noir and the family now makes more than 2,000 cases of estate Pinot Noir, and more than 1,000 cases of an estate Chardonnay. 6) Puritan & Co. Chef/Owner Will Gilson, Wine Director Peter Nelson, and the Puritan & Co. team invite guests to join them for upcoming Totally Fried Fizz Fest. Rumor has it sparkling wines are amongst the most diverse and versatile wines for food pairings and the wine nerds agree - both sweet and savory fried foods are a divine partner with all things bubbly. Puritan & Co.’s Totally Fried Fizz Fest on Wednesday, March 22nd will offer an introduction to the diversity of styles and tastes of sparkling wines served alongside the tastiest fried foods. From funky reds to Grand Cru Grower Champagne, the industry-style tasting will allow guests to try dozens of wines from all over the world from various grape varietals exhibiting a full array of colors and flavors. Tickets cost $65 and can be purchased for either a 5:30 p.m. or 8 p.m. entry time. Tickets are available on Eventbrite at https://www.eventbrite.com/e/totally-fried-fizz-fest-tickets-31569412964. $5 from each ticket sale will be donated to Lovin Spoonfuls. Lovin' Spoonfuls is a 501c3, non-profit organization that is legitimizing local, immediate, and responsible food rescue. This sounds like a fantastic event and I highly recommend you check it out! 7) Chef/Owners Carla & Christine Pallotta and the Nebo Cucina & Enoteca team invite guests to join them for late night grub on Saturday nights at the bar with a new, late-night menu at the bar featuring a selection of Nebo’s signature items. 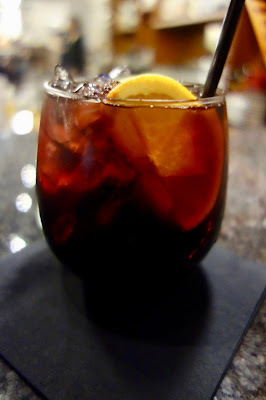 From Spanish Whiskey to Sangria, Chestnut Ravioli to a Chocolate Snowball, my recent culinary trek to Quincy included three other delicious destinations, The Townshend, Zef Cicchetti & Raw Bar, and 16C. Kerry Byrne (a Quincy native, food writer for the Boston Herald, and the owner of KJB Trending Hospitality) wanted to introduce me to a few more of the newer eateries in Quincy. Through my relatively brief experiences at each spot, I saw much potential and am eager to return for a fuller experience. Kerry and I began our exploration of Quincy by having a drink at The Townshend, a craft cocktail bar and restaurant serving seasonal, modern far, which opened in May 2015. The restaurant was founded by Devin Adams, whose resume includes Kingfish Hall, Lucca Restaurant, Island Creek Oyster Bar and Drink. 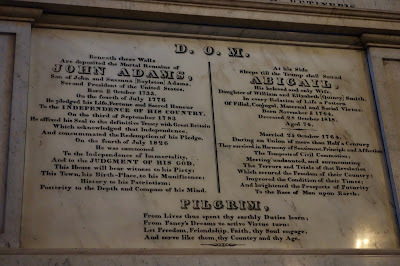 It's name is based on the historical Townshend Acts, severe British laws which increased duties on imports, and were part of the reason for the revolt of the American colonists. This is a nod to Quincy's historical importance to the American Revolution. With a casual decor of light wood and dark metal, it is a cool spot to have a drink after work, or to grab some dinner with a significant other or groups of friends. However, you might want to grab a seat at the bar so you can watch the bartenders in action. The restaurant is open for lunch, dinner, and Sunday brunch, offering everything from sandwiches to entrees, from Burgers to Wild Boar Ragu, Pulled Pork Melt to Panko Crusted Haddock. Lunch sandwiches range from $11-$13 while dinner entrees range from $24-$29. The kitchen sources many of their ingredients locally and on a chalkboard, to the left of the bar, they list those producers. the chalkboard also mentions the local distilleries, breweries and wineries from which they source some of their drinks. As we were at the restaurant between lunch and dinner, they only had a very limited menu available, basically a few appetizers, and we opted for the Glazed Chicken Wings, with a Sriracha honey glaze. The meaty wings had a delicious taste of sweet and spicy though it might have been better if he wings had a crunchier coating, though that is more an issue of preference. The Bar Manager is Palmer Matthews (pictured above), who is a Quincy native, gained much of his bar experience from his time at Drink. He has put together an interesting bar and cocktail program, stocking many local spirits and beers, as well as some more unique offerings. Most of their cocktails cost $10-$11, such as the Blood & Sand (Scotch, Orange & Cherry Brandy) and Kentucky Colada (Whiskey, Coconut, Pina & Peach). They also hand cut their ice from a large block (which you can see above). There is a substantial beer list, with about 8 on draft, and plenty of local brews though you'll also find a number of Belgian beers. The wine list is interesting and certainly not the usual suspects. There are about 16 wines by the glass, priced $7-$12, and you'll find wines from Hungarian Furmint to Lodi Cabernet Franc. They have over 30 wines by the bottle, with a fair share priced under $50. The diversity appeals to me, and it's good to see one Massachusetts wine even made the list, the Westport Rivers RJR Brut. I opted for a glass, neat, of Navazos-Palazzi Grain Whiskey, a cask strength Spanish whiskey which was aged in Palo Cortado Sherry barrels. When's the last time you saw a Spanish whiskey at a cocktail bar? It was a first time for me. The whiskey was delicious and aromatic, very Sherry-like and light, with hints of grain and a touch of almost sweet vanilla. It was very smooth, despite the high alcohol content, though a few drops of water might help you enjoy it. Palmer then suggested that I try the Dry Fly Distilling Straight Triticale Whiskey, which might be the only straight Triticale whiskey in the world. Triticale is a hybrid of rye and wheat which was created in Scotland in the late 19th century. I enjoyed a shot, chilled by a single large chunk of ice, and found the whiskey to be intriguing, with a nice spicy kick up front, which then became soft and almost sweet. As I love Rye whiskey, I savored the spicy element of the Triticale, but also liked how the wheat softened it more on the finish. 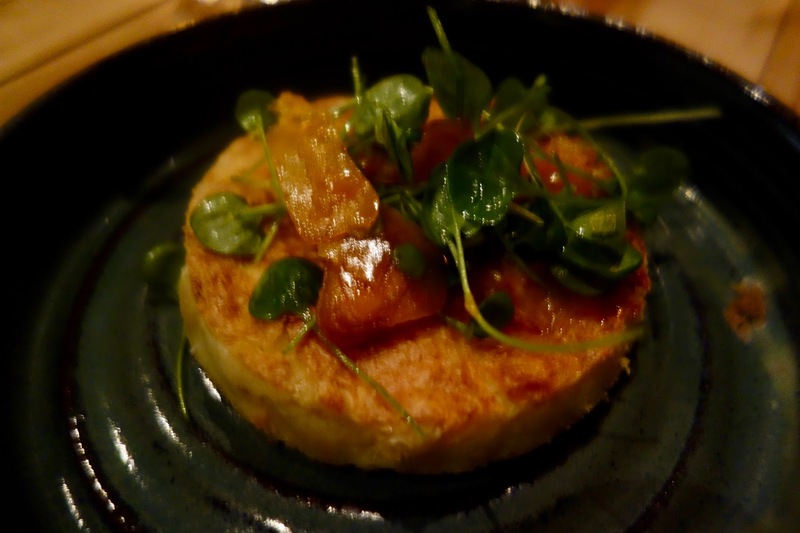 It's always great to go to a cocktail bar and encounter something new, and I'd love to return to Townshend to taste more of what they have to offer. Palmer also joined Kerry and I as we dined at a few more locations, and I found him to be both fun and knowledgeable, down-to-earth individual and a good man to share a drink. Leo Keka, a native of Albania, is the owner of Alba Restaurant, a well-known, high-end steakhouse in Quincy. He has now opened a second restaurant, Zef Cicchetti & Raw Bar, next to Alba. Zef Cicchetti, whose name pays tribute to Keka’s father, Jozef Keka, who passed away last year, is a Venetian-style bacaro. 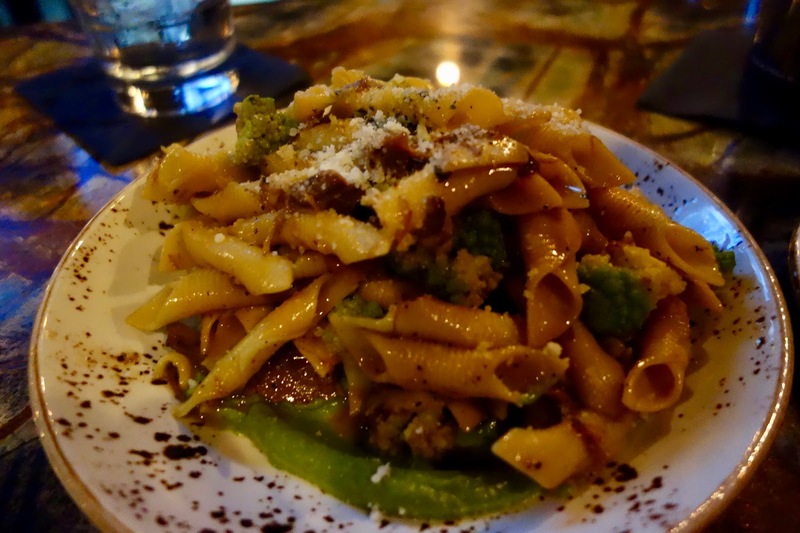 They serve traditional cicchetti, small plates, hand-made pasta, local oysters, and more. It is an elegant restaurant, with lots of dark wood, yet still seems more casual than Alba. You probably were unaware, as I was initially, that coastal sections of Albania once were part of the Republic of Venice. As such, they share some culinary roots so Leo has a good understanding of Venetian cuisine and was a natural extension for him. Lots of fresh oysters! You can also find little neck clams, Alaskan King crab legs, Maine lobster claws, and Jumbo shrimp as part of their raw bar. There is an open kitchen, which I always see as a sign of confidence of the kitchen staff. Their food menu includes a number of Cicchetti, from Salt Cod Fritters to Grilled Octopus, priced from $6-$18. You can also find Bruschette, like Steak Tartare, Salumi, Cheese, and Pizzettes (small pizzas). For a heartier appetite, you can try their house-made Pasta dishes ($17-$22), like Black Truffle Gnocchi or Linguine Vongole, or one of their Platti ($23-$38), such as Filet Mignon or Fisherman's Stew. There is something for everyone, whether you want a few bites while drinking at the bar or if a group of you are hungry for a full meal. We opted to try several different dishes, to get a sense of what you might expect while dining here. The Il Diavolo Pizzette is made with Calabrian chile soppressata and fontina cheese. 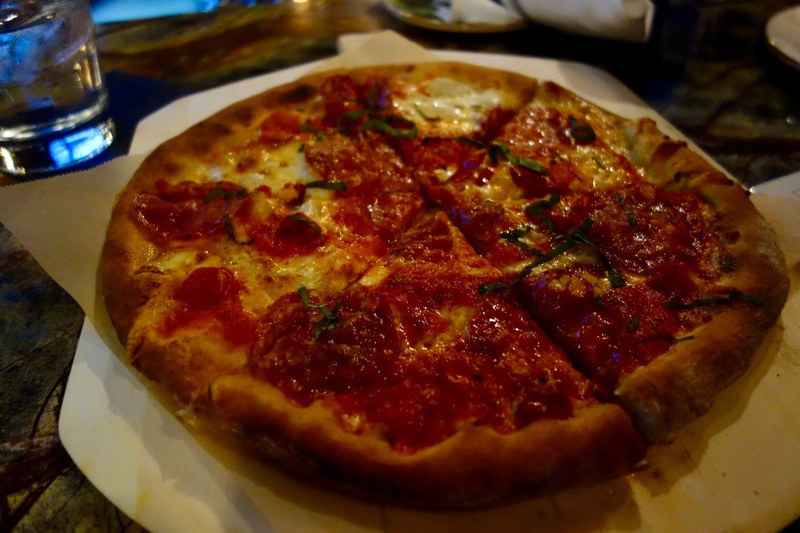 It is a thin crust pizza, with a nice char, with plenty of soppressata atop it. I enjoyed the lightly spicy pizza, with its crisp crust, and a red sauce with a mild sweetness to it. And it actually is good-sized and can easily be split by a couple people. The Lamb Garganelli is comprised of braised lamb shank, romanesco cauliflower, and mint gremolata. The pasta was excellent, with a nice bite to it, and the tender lamb was flavorful and compelling. I'm not a fan of cauliflower but the pieces were small, almost circular, and you almost wouldn't even know what it was unless you knew what was in the dish. My favorite dish was the Chestnut Ravioli, with truffle butter, heirloom cranberry and crispy sage. 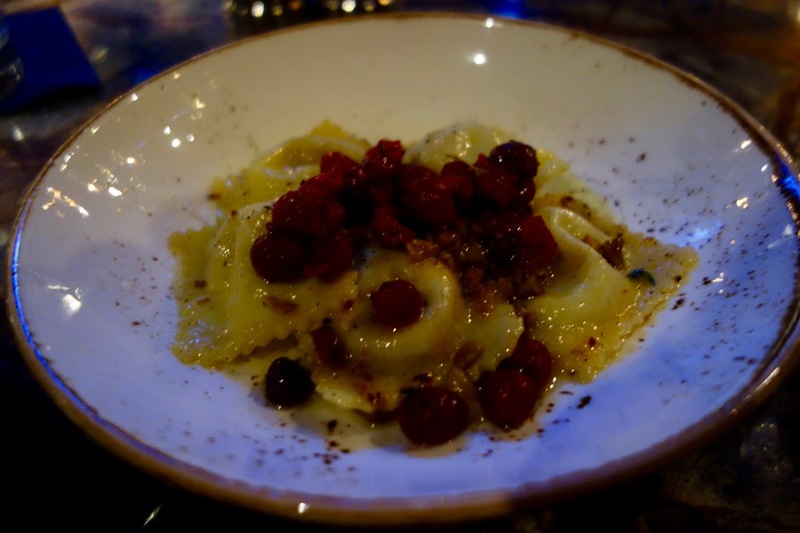 The fresh ravioli were cooked perfectly, and the taste of the dish delighted my palate in so many ways. The creamy chestnut filling, enhanced by the truffle butter and cranberry, brought to mind an earthy forest. And the crispy sage added a little crunch to the dish. Highly recommended. 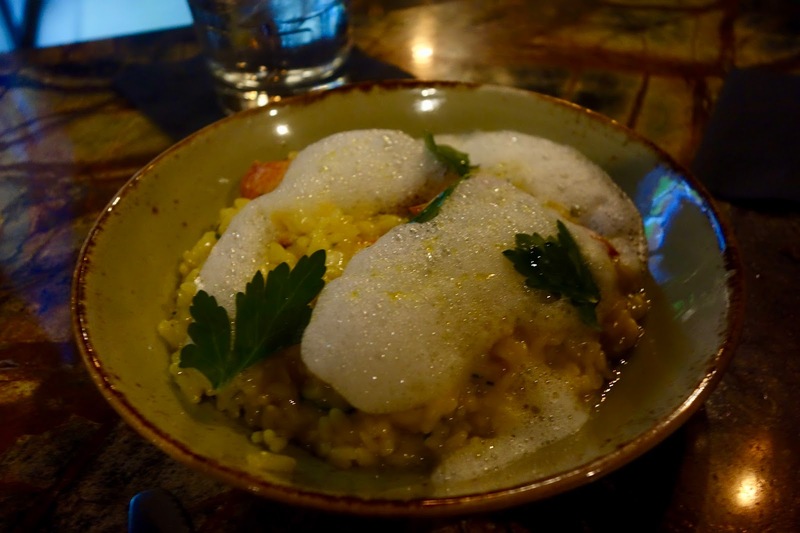 Finally, we enjoyed the Saffron Risotto, made with Maine lobster, Vialone rice, and Meyer lemon. The rice was prepared just right, with an excellent texture, and there was plenty of sweet lobster meat in the risotto. For my preferences, the lemon flavor was too strong and I would have liked it more with a lighter use of lemon. Our final stop was at 16C, a new restaurant owned by Kerri Lynch-Delaney, who is the niece of famed Chef Barbara Lynch, and Kerri also used to work at No. 9 Park as a Pastry Chef. The restaurant offers "fine American cuisine" with Italian accents. You'll find sheet pizzas and a Waygu Burger, Steak Tips and Pan Seared Scallops. 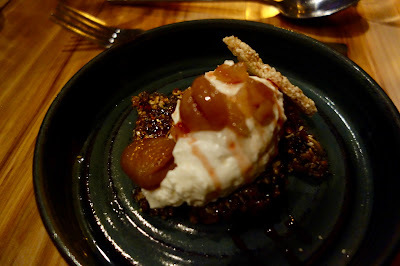 However, I decided on dessert, as we had already devoured plenty of savory dishes during our restaurant crawl. The night was ending and a sweet treat would be a nice way to complete the evening. I did have to try one of their drinks and chose the Red Sangria, which is made with blood orange, dragonfruit, and raspberry. The different fruits are what intrigued me, and I was very pleased with the Sangria. It was fruity, with a nice depth of flavor, and with only a mild sweetness. I'm picky about Sangria and this is actually one of the best versions I've tasted in quite some time. I could have easily drank a few of these without feeling like I was in a sugar coma. The Dessert list only has a few choices, but they all sounded appealing, and in the end, I decided on the Chocolate Snowball, with a vanilla buttercream and coconut. 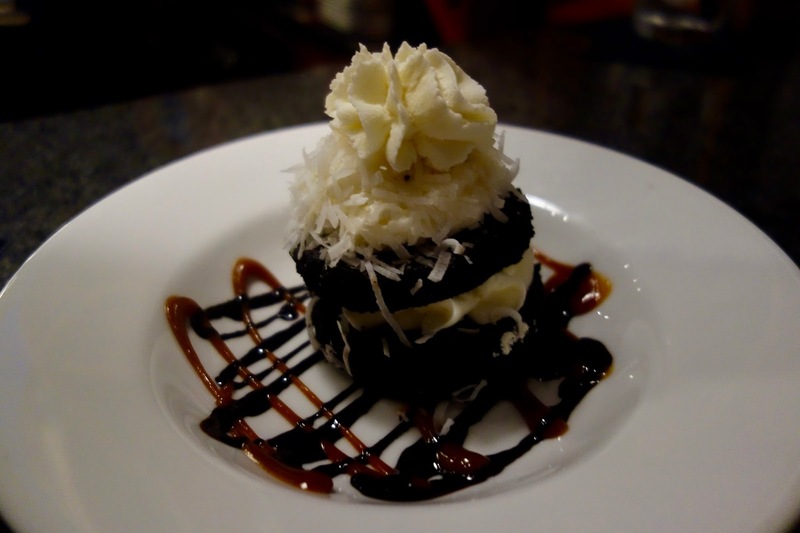 A decadent treat, with rich chocolate and a creamy frosting, enhanced by the coconut. It is large enough to share, and showcases Kerry's experience as a Pastry Chef. I must come back to try their savory options. My restaurant crawl through Quincy center merely scratched the surface of the culinary treasures that can be found in this historic city. There are so many other places I could have explored, and more will be opening in the near future. It is clear that Quincy is seeing an ascendancy, and I highly recommend you visit the city and check out its myriad restaurants. It was also great to see the number of immigrants who own and work in a number of these restaurants, and their contributions highlight how our community improves with immigration. 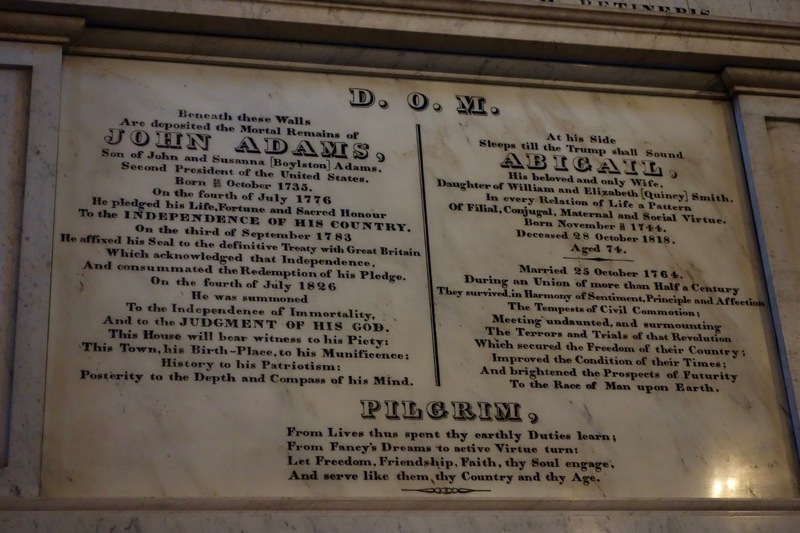 Besides all these restaurants, bakeries, and food shops, you also have to remember all of the rich history within Quincy, giving you even more reason to check out this city. I'll be returning to Quincy, to eat, drink and learn more and maybe I'll see you there.